Dynautics Ltd, the leader in intelligent marine electronics for unmanned boats and Solbian, a leader in Solar powered devices from manned and unmanned boats have agreed to collaborate in providing the unmanned boat market a more comprehensive and integrated electronic solutions. 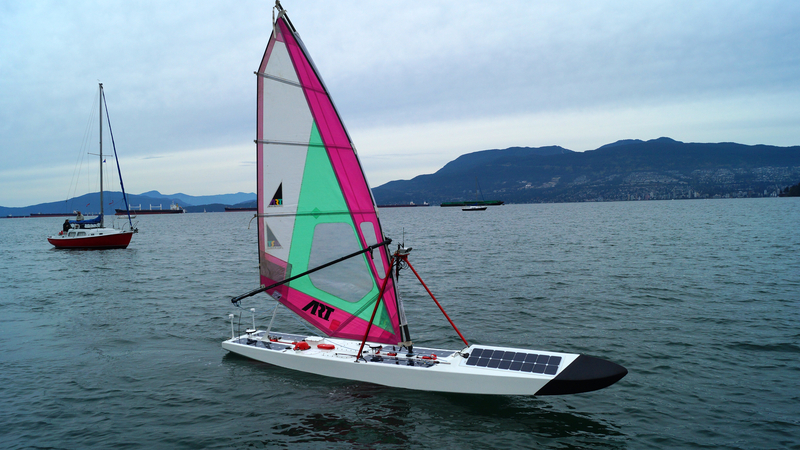 Solbian provides solar panels for both manned and unmanned boats. The Solbianflex (Flexible solar panel) range includes three different technologies: SP, SR and SXp. All with crystalline silicon cells, the most efficient and proven on the market, and using lightweight and flexible encapsulation materials. Dynautics customers are demanding a complete solution to their power and control needs and most customers want the solution to be integrated and seamless. Dr. Henry Robinson, CEO of Dynautics commented, ‘We have seen an increase in the development of new unmanned vessels which are being designed for a specific purpose. Our customers not only want a navigation package, remote logging and control but also intelligent power systems. Systems that maximize endurance through a complete understanding and control of the power budget and the ability to manage that budget remotely’ and with regards to the collaboration he also commented ‘Through collaboration with other market leading Companies such as Solbian, who offer complementary technologies, we can serve our customers better and reduce their time to launch’. Both Companies have agreed to co-market each other’s products, share their development plans and their customer base where appropriate.